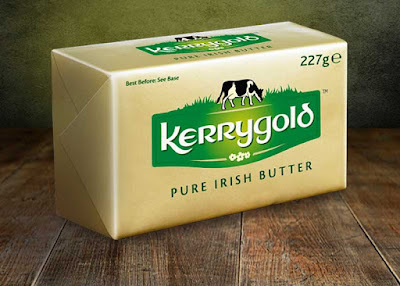 A 35-year-old man who covered himself in butter to make it difficult to arrest him, after barricading himself into his house in Listowel, County Kerry, Ireland, has been given a suspended sentence for wielding a large knife and threatening to kill two gardaí in what the court was told had been “a very frightening incident”. Michael Rooney, a father of two, had stripped to his waist and was wearing only jeans to better apply the butter. He said he had been drinking heavily and been on medication at the time. His behaviour on the day was “out of character” , the Circuit Criminal Court in Tralee was told at a hearing on Tuesday. Gardaí were called to the home of Mr Rooney, a father of two, after he had broken most of the furniture in the residence, which he shared with his partner. He had barricaded himself into the house against gardaí by placing two chairs against the door, stripped and applied the butter, and was wielding a 14-inch knife. He roared at them “Come in ye bastards…” Gardaí had to to use two rounds of pepper spray before eventually subduing Rooney, and found it difficult to arrest and place handcuffs on him because of the butter. Rooney pleaded guilty last year to three counts in relation to the incident. These were threatening to kill two gardaí, Sgt Tim O’Keeffe and Garda Colin McCarthy, and to having a knife, on October 20th, 2014. He had quickly written a letter of apology and had given up drink, and had done much “to rehabilitate himself” , the court was told. His barrister Katie O’Connell said his partner and their two children were still with him. Recalling the evidence, Judge Thomas E O’Donnell said the accused had been in a very drunken state and had caused considerable damage at his home. He had barricaded himself against gardaí, covered himself in butter, “something he had seen in a movie”, and said “I am going to kill ye bastards.” He waved the knife at gardaí. “The accused was subdued and arrested with difficulty due to the fact he had covered his body with butter,” the judge said.